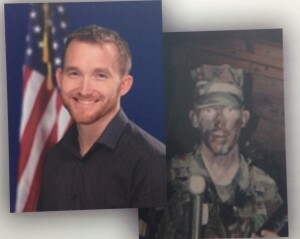 Ed Tague is a Wellington High School Graduate who well remembers the challenges he faced upon returning to civilian life following five years active duty, which included three deployments to Iraq. Today Ed makes a difference through Stand Down House. Stand Down House is owned & operated by Faith*Hope*Love*Charity, Inc. (FHLC, Inc.), and helps male veterans who are struggling due to mental / physical wounds & illness, addictions, homelessness and/or other issues regain their lives through a multi tiered program, transitional living, & collaborative efforts. FHLC, Inc. addresses the needs & unseen wounds of our veterans & military members. Stand Down was founded by two veterans, Roy Foster and Donald Reed, with a vision to help their brothers in arms. They began to make their dream a reality when they founded Faith*Hope*Love*Charity, Inc. (FHLC, Inc.) in 1994. In May 2000 Stand Down opened its doors and it has flourished since.